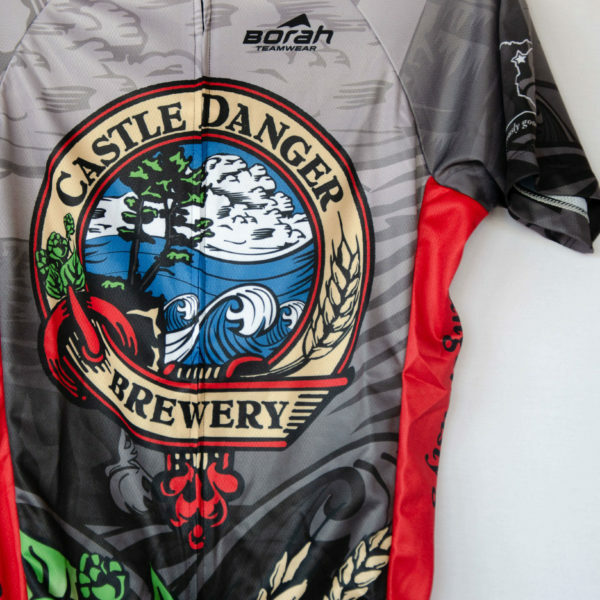 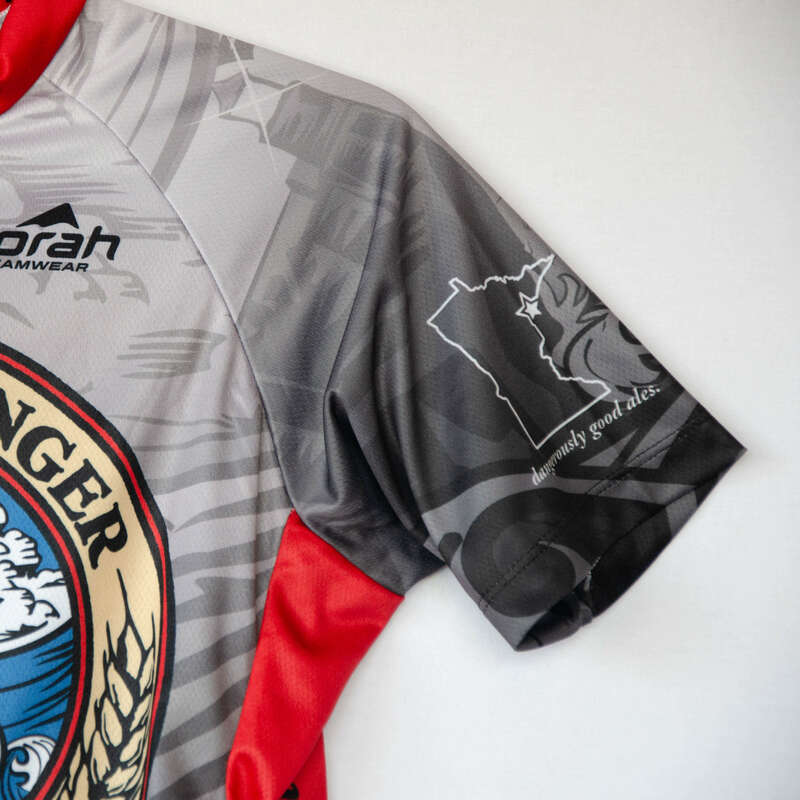 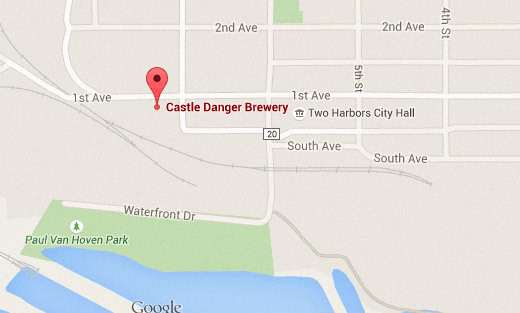 Semi-loose, all-around cycling jersey featuring a large Castle Danger Brewery logo on the front and back. 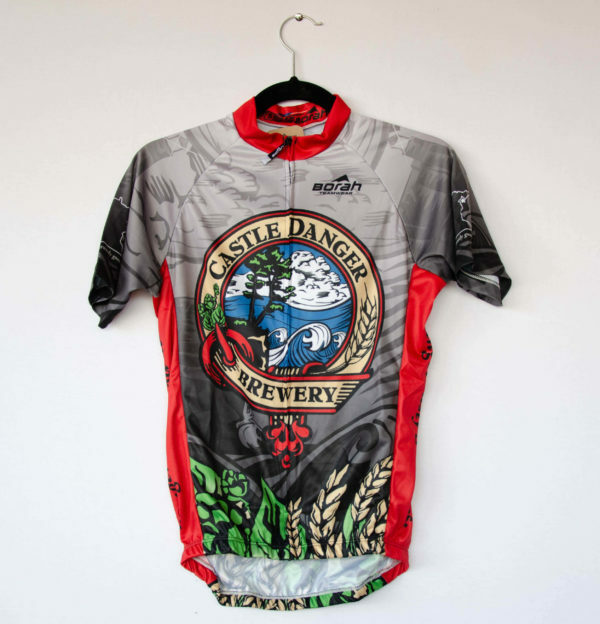 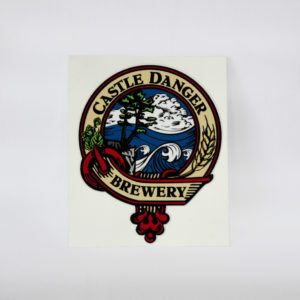 Our “dangerously good ales” tagline runs along the side of the body and a small Minnesota outline on the right sleeve. 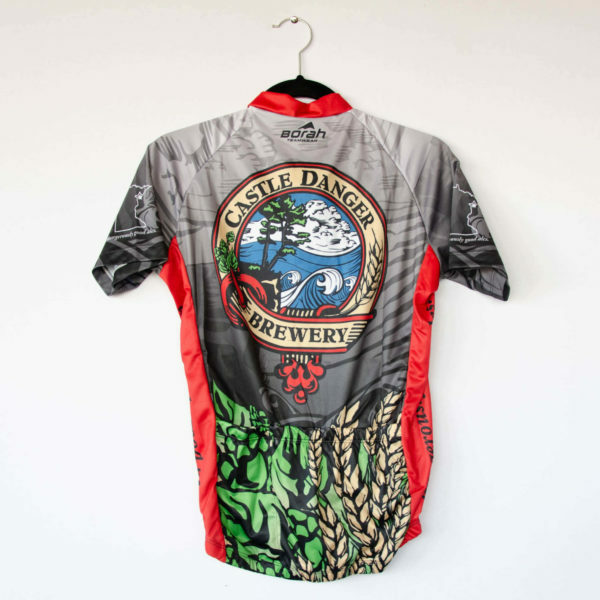 Complete with three open pockets on the back of the jersey it’s perfect for both short and long distance trips. 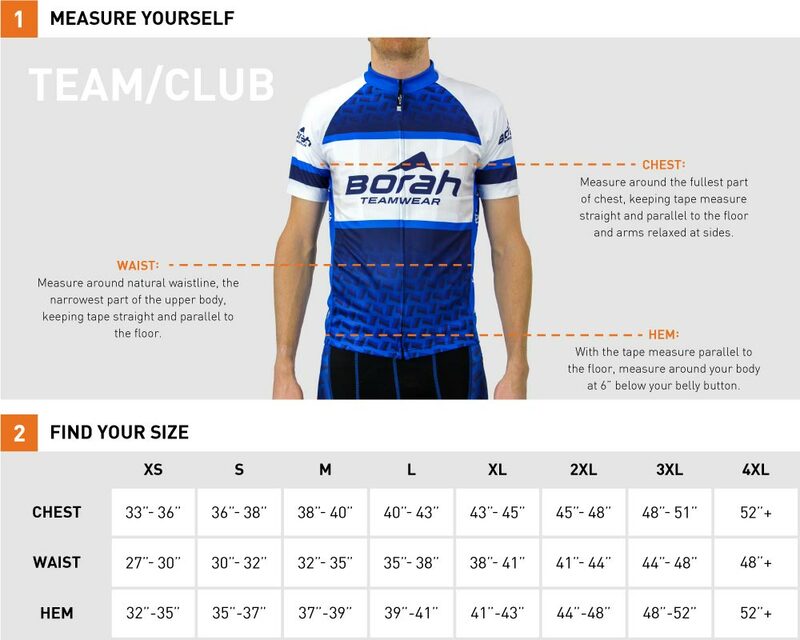 Borah Teamwear bike jerseys have a slim fit. Please review the sizing chart to choose the best size for you!